Sunday was a memorable day in the world series of poker. After head to head fight between Hellmuth and Phil Ivey for a bracelet, it was Hellmuth who break his own record of 11 WSOP bracelets and on the other hand Ivey makes it to number nine. At the end of the match Phill reached heads-up play, but won only one. Phil Hellmuth covered Event #18:$2,500 Seven Card Razz. When asked about how he is feeling after winning the 12th WSOP bracelet, he replied saying that he feels privileged of winning the match. The last match that he saw was the Event#17 where there was head to head fight between Ivey and Andy Frankenberger. The atmosphere at that time was electrifying and people present over there were sweating. But on the other side where the razz final was held, very few people were capable of following the action and so their mind was distracted. Same scenario took place when he was fighting against Phil Ivey. It was really a great moment for Phill because he was expecting a lot from this match and after achieving the goal finally he was overwhelmed with joy. Though he is well known for holding a record at the World Series of poker but this match was something different. He said in a candid chat that lots of tension and nervousness were hovering in his mind when he was at the end of winning the match. 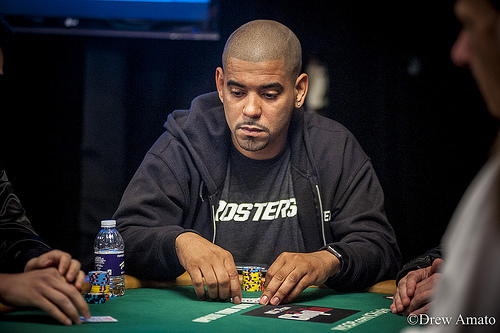 Because of his astounding career in the world of Poker he was elected as the member of The WSOP’s Poker Hall Of Fame.